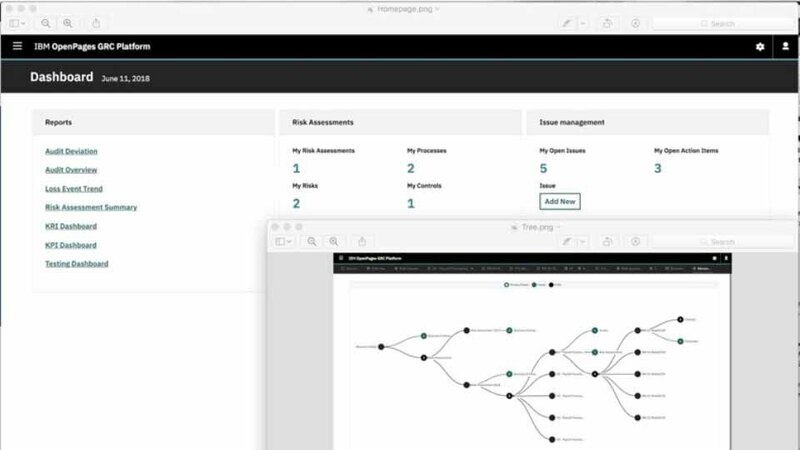 IBM OpenPages GRC on Cloud offers organizations, regardless of size or business orientation, a preconfigured SaaS risk management solution hosted by IBM and delivered online. With OpenPages GRC on Cloud, organizations benefit from an advanced risk solution that enables the identification, analysis and management of operational risk across the enterprise, without the IT, personnel and infrastructure costs of an in-house deployment. Monitor risk and performance, and assess impact under different scenarios. Provide rapid implementation and acceleration of business benefits. Use a single data repository for a central source for all risk documentation, results and data. Get business intelligence and critical decision support with dashboards providing clear, risk‐informed insight spanning the organization. Leverages IBM SoftLayer® global data centers and networking infrastructure to provide your organization with the full benefits of cloud-based service.